The 2015 Chevrolet Cruze offers drivers an all-new introductory trim and a host of new high-tech features, boosting it above other small sedans. If you are looking for a car that fits comfortably into your budget, looks and drives great, and guarantees you years of reliable transportation, the newest Cruze is an excellent choice. Find out how it compares to the 2015 Dodge Dart, and then check it out in person at Sunrise Chevrolet in Glendale Heights, just a short drive from Bloomingdale. Why spend more on gas than necessary? 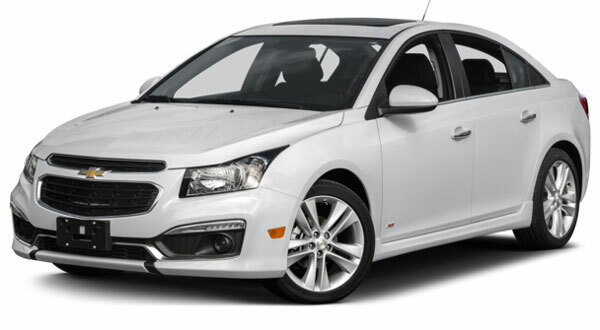 The 2015 Chevrolet Cruze offers several fuel-efficient options that go unmatched. 2015 Chevrolet Cruze: The Cruze Eco runs on a turbocharged 1.4L four-cylinder that gets 26 city mpg and 38 highway mpg. Even better is the Cruze Diesel, which runs on a turbocharged 2.0L diesel four-cylinder engine and gets 27 city mpg city and 46 highway mpg. 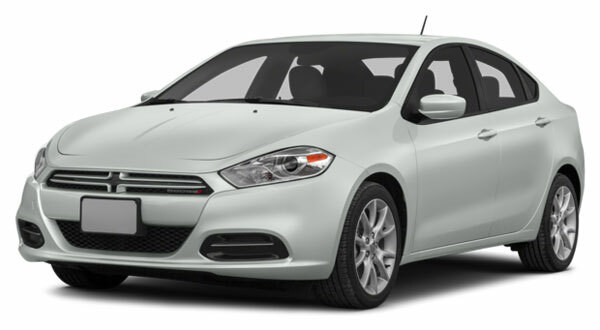 2015 Dodge Dart: The intro Dart trim runs on a 1.8L four-cylinder that gets 25 city mpg and 36 highway mpg. Two other engine options are available, but neither is diesel-powered nor comes close to the Cruze Diesel’s mpg. In addition to superior fuel efficiency, the 2015 Chevrolet Cruze Diesel puts out more torque than any Dart engine. Torque is rated as high as 264 lb-ft on the Cruze, while the Dart tops out at 184 lb-ft of torque. Looking for high-tech features? The 2015 Chevrolet Cruze offers several that you won’t find on the 2015 Dodge Dart, and one that is exclusive to Chevy vehicles. The introductory Cruze comes standard with Bluetooth connectivity and a six-speaker stereo with USB port. All trims also have standard OnStar, which enhances safety and turns the car into a 4G LTE Wi-Fi mobile hotspot, allowing you and your passengers to connect to the Internet on the go. The stereo installed in the entry-level Dart has only four-speakers, and a USB port and Bluetooth are available as cost-added options. OnStar and Internet are not available on any trim. Just because you like the nimble character of a smaller car doesn’t mean you should settle for a tiny trunk and cramped seating. The 2015 Chevrolet Cruze gives you a lot more space to work with: its trunk measures 15 cubic feet on all but the Diesel trim, which has a trunk that measures 13.3 cubic feet. The 2015 Dodge Dart, on the other hand, has a trunk that measures at 13.1 cubic feet on all trims and has been criticized for having weak hinges, making it difficult to keep the hood open when loading and unloading. When you are ready to see the 2015 Chevrolet Cruze up close and personal, make your way to Sunrise Chevrolet, located at 414 North Ave. in Glendale Heights, IL. We are a short drive south of Bloomingdale along Glen Ellyn Road and easy to find just west of the Brunswick Zone. If any questions pop up as you plan your trip to the dealership, don’t hesitate to give our staff a call.